It has never been easier to start with e-Learning. Prodiags makes the decision easy now. Best technical automotive offered in bundles at affordable prices. 80% of Finnish schools are relying on Prodiags learning. 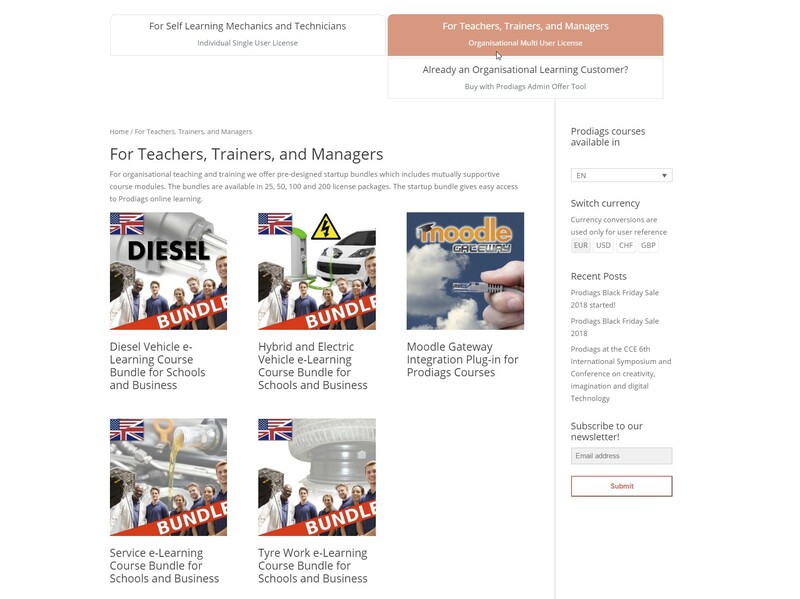 Whether used in classroom or distant learning, Prodiags has proven its benefits to teachers in terms of time saving and up to date technical knowledge. For learners Prodiags offers animated and interactive learning. So it is a both win-win situation for the teacher/trainer and the student/learner. Prodiags will refund you in case you we do not match your expectations within 30 days after purchase. And Prodiags learning is easy to deploy and to work with!